Opposite of Two- A Lonely Me & A Lonely You: #Post •1• – I'm Here; Right Here. Does anyone remember my Strangely Friends Friendly Strangers? No? Then have a look. Its my most favorite part of my blog. Oh yeah. Trust me or not. I don’t lie sometimes. Its just a temporary assay for my assortment to what I had done in the past with a renewed extravagance of separation. I hope you, readers, get your senses pleased with this post and the coming ones. “What’s the opposite of two? Now I really like the new look of the series which were missing from a while. “We just reply” is awesome. and I thought you were missing for a while…yay..
Pingback: Opposite of Two- A Lonely Me & A Lonely You: #Post •2• | I'm Here; Right Here. Oh yess! Those were one of the first posts I read on your blog. I would love to see you bring it back. I missed your presence on my blog to be honest. This was so much of you in one line. The only way to thank you now is to keep writing better. I wasn’t too sure about this new segment until when I read this comment of yours. Second one will be doing the talking, tomorrow. In Sha Allah. 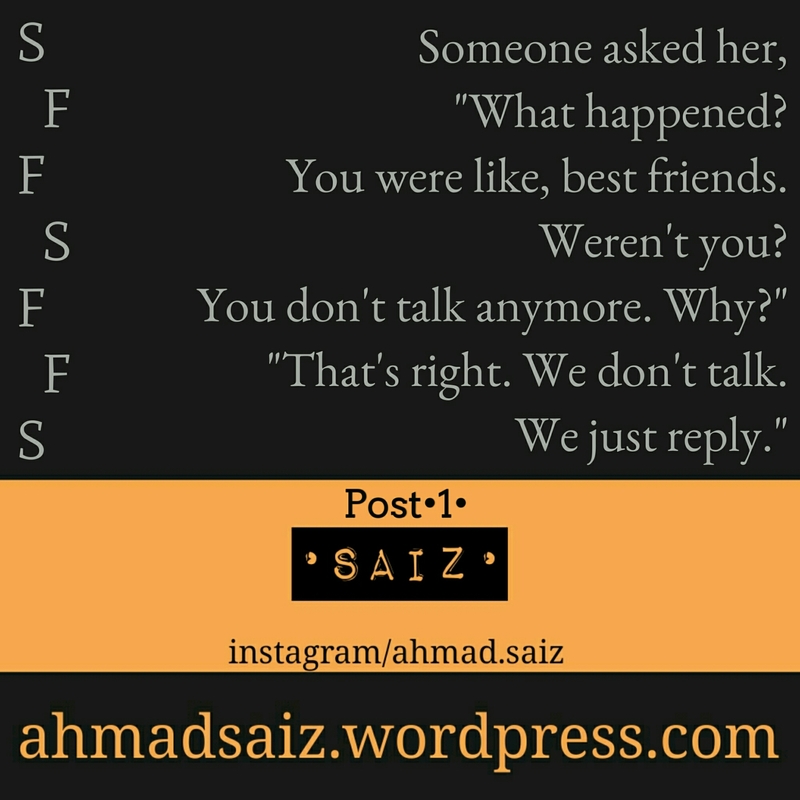 If you get time, then please do review my latest poem at Story of a Poet #35. Trust me. You’ll love it. That was a great post by you. I think I should show up with my long comment now. these days no one talks. there no longer are discussions. just replies. If one is lucky enough there would be someone who sends lavish replies. But then again, who has time these days for too many words? You’re right. People distant themselves when their purpose is done. People are people. And its a true fact. wow …again amazing attempt..opposite of tow..Oh man from where you get such powerful thinking. You should publish a book . Don’t laugh. Its a honest suggestion. I can understand your feeling. Typos are a good way to show perhaps. Just to acknowledge, yes, I am writing one. Needless to mention its a heedless romantic. I’ll let you know when I’ll finish.